This wool carpet has been handknotted. Every one is unique, please enquire in-store about availability. Vacuum regularly. Treat spots and stains immediately to prevent damage. Blot liquids with a dry, absorbent cloth. Do not pull loose ends. Trim with scissors. Periodic professional cleaning is recommended. 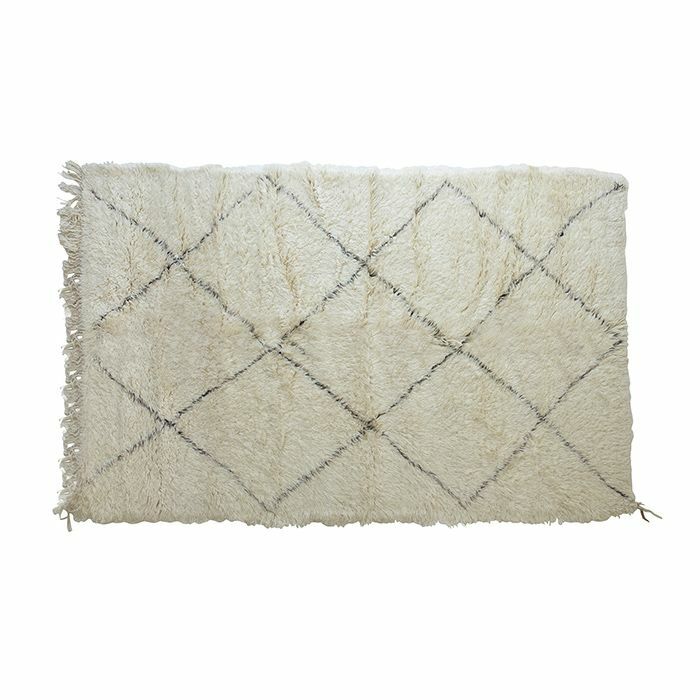 This woolen kilim has been handknotted and as a result each kilim is unique. Enquire in-store about availability. This hand woven carpet is made of cotton and leather.